Koh Tao is beaches are one of the most beautiful ones in Thailand. No matter what you need for a perfect tropical holiday, you’ll find on it in this small lovely paradise! 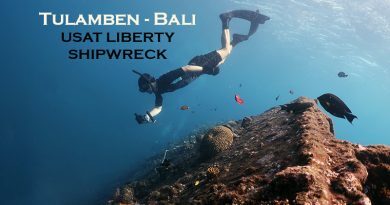 Idyllic jungle atmosphere with lush vegetation on land, rich underwater life that offers excellent snorkeling and diving. This guide will help you what are the best places to snorkel, where to see turtles and sharks! Thailand’s weather became quite unpredictable in the last few years, so there is no 100% reliable forecast anymore. 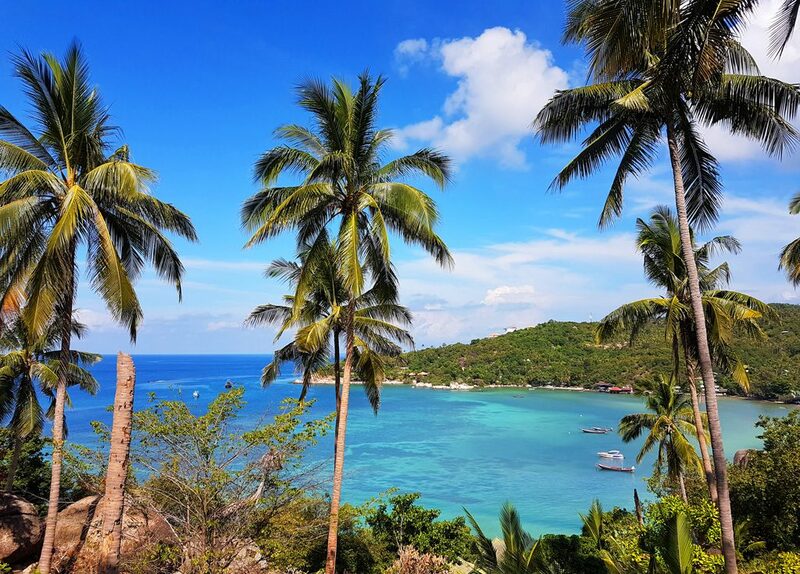 Due to climate changes, seasons are mixing in the region as well as all over the world, but we give you a general best time to visit Koh Tao schedule. The island can be visited all year round, although conditions are different throughout the year. It situated in sub-tropical climate in Southern Thailand. Due to its location, it is one of the best islands in Thailand that offers a 10-month long high season for travelers to visit and enjoy the beauty as well as snorkeling in Koh Tao. The peak season is from February to April and from July to September. During these months the weather is generally hot (up to 40 degrees C) with little rain, perfect time to visit Koh Tao beaches! The area is affected both by NE- and SW-monsoons. The NE-monsoon dominates from end of October to beginning of December, you can expect heavy rainfall. The SW-monsoon (June to Sept.) is mild since Koh Tao is sheltered both by the mainland and the surrounding islets. Boat services usually continues even in monsoon season. From October till March, high tide makes the conditions perfect for swimming and snorkeling in Koh Tao. From April till September when the tide is low, Koh Tao beaches are wider full of sand, this time is better for sunbathing and beach activities. Plenty of sunshine, comfortable air temperatures. 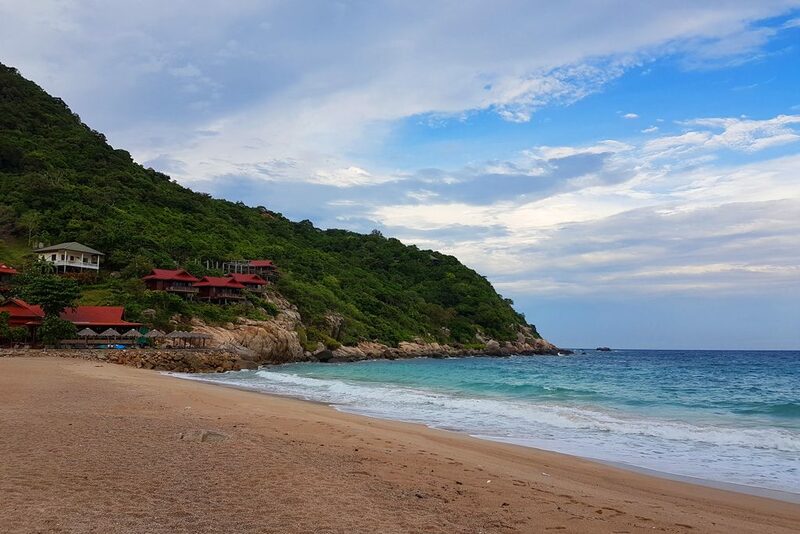 The average sea and air temperatures are between 28-30 degree C. The high tide allows easy access to Koh Tao beaches and prime snorkeling sites. However, visibility can be little temperamental. Temperature warms up, water becomes flat and calm. Best period for wall-to-wall sunshine and gorgeous sunsets! The days are dry and humid, sometimes leading to tropical thunderstorms. Water clarity is the best during this time and also this is the main Koh Tao whale shark season! The wind turns at this point of year, the island gets a fresh cooling breeze. The sea can become rough with relatively big waves. It can rain at this time, afternoon storms are typical especially in August. Diving is best on the East side of the island where the sea is flat and calm. Best season to spot turtles. A beautiful season with warm sunny days, calm flat seas. Superb conditions snorkeling in Koh Tao. Water and air temperatures drop a little as we enter the ‘winter’ months but it’s still tropical. Good visibility, low humidity and of course sunsets to die for. Abundant marine life, famous whale sharks are present. The typical monsoon usually lasts for a couple of weeks with hard rain and quite a lot of wind. The water becomes murky with low visibility, swell can be rather unpleasant. 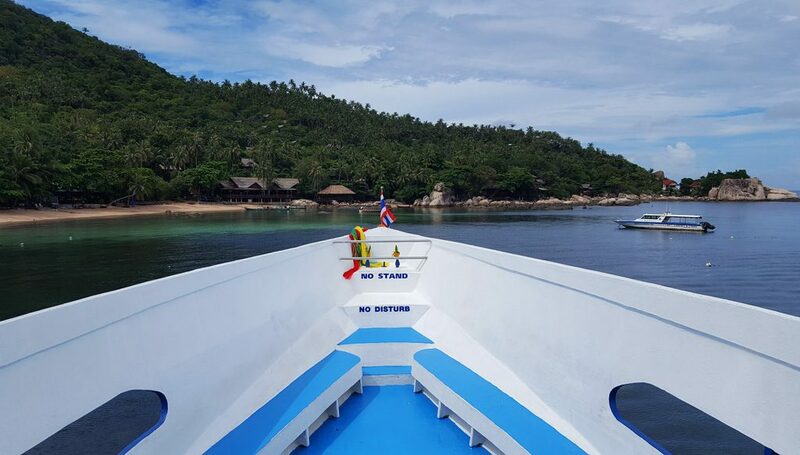 The journey to Koh Tao at this time of the year is mostly going to be bouncy, it is very quiet at this time and you can experience very few people around. The island of Koh Tao (also called “Turtle Island”) is part of the Chumphon Archipelago on the western shore of Gulf of Thailand. It forms a small archipelago with Koh Nang Yuan with a total area of 19.2 square kilometers. The island is 3.4 km wide and 7.6 km long. It has a rocky shoreline that consists of 11 bays and 10 capes and is 28.6 km long with a surrounding coral reef spanning 8 km. A large percentage of Koh Tao is mountainous, about 30% is flat land. 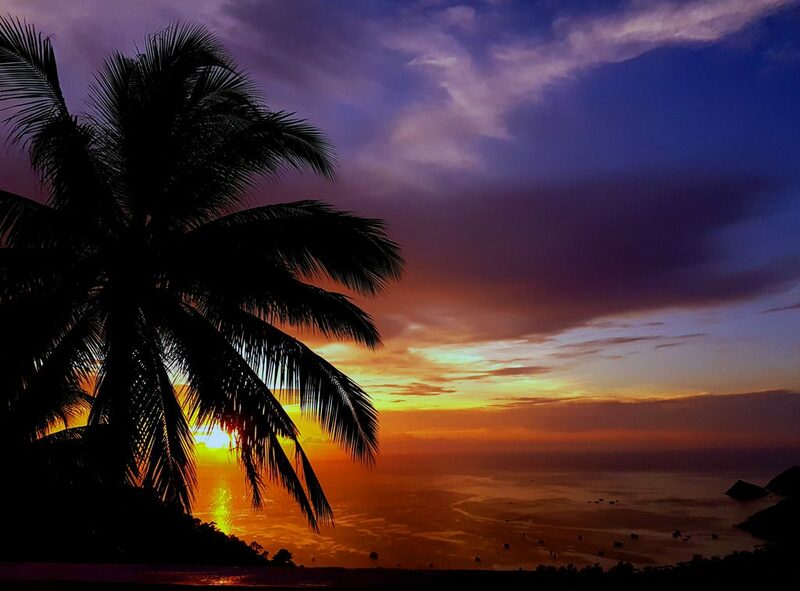 Koh Tao consists of three areas. Mae Haad and Sairee on the west coast, Chalok Baan Kao in the south. Koh Tao’ eastern part is steep with cliffs. In contrast, the west slopes down gradually to the sea. Highest point is 374 meters above sea level. 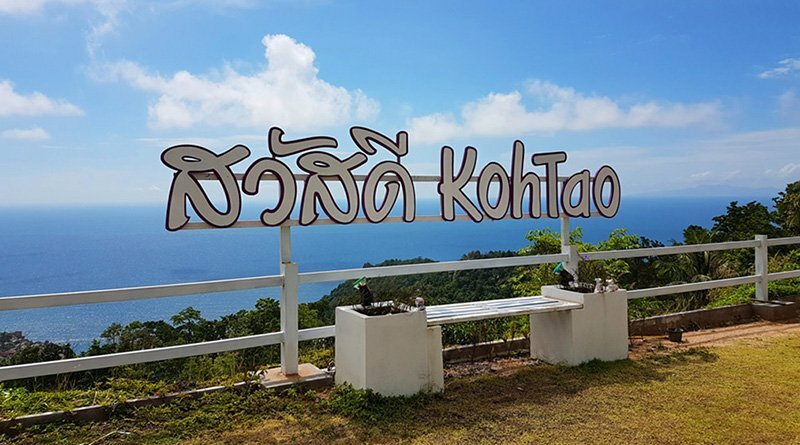 Koh Tao was formed through land subsidence of the surrounding area, which is now the sea floor, making the depth of the sea around Koh Tao and Koh Nang Yuan at the most 30–40 meters. Koh Tao beaches have a diurnal tide, meaning there is only one high and one low water each tidal day. Tip: if you have time, consider visiting the nearby islands, Koh Samui and Koh Phangan as well! 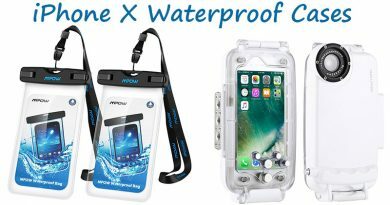 Read our recommendations what are Koh Phangan best beaches for snorkeling! It is an often asked question how to get to Koh Tao from Bangkok. There are many different companies offering combination tickets (bus+ferry, train+ferry, plane+ferry etc…) from Bangkok to everywhere in the country. Public transport is generally good, safe, not too expensive in Thailand. These are the most reliacle services operating big, safe boats. Lomprayah uses modern high speed catamarans, this is the fastest way of transport, but a bit more expensive than the others. The most comfortable is of course taking a plane to Koh Samui. This option will add to the costs since there are no low budget airlines flying to Samui Airport. Bangkok Airways operates several flights per day, if you have a tight schedule, it’s worth paying a bit more for your comfort instead of the long bus or train journey. Koh Tao has a diverse landscape so you’ll find perfect beaches for lazy days and for active holidays too. There are sandy beaches for sun seekers, but rocky ones too for snorkel fanatics. 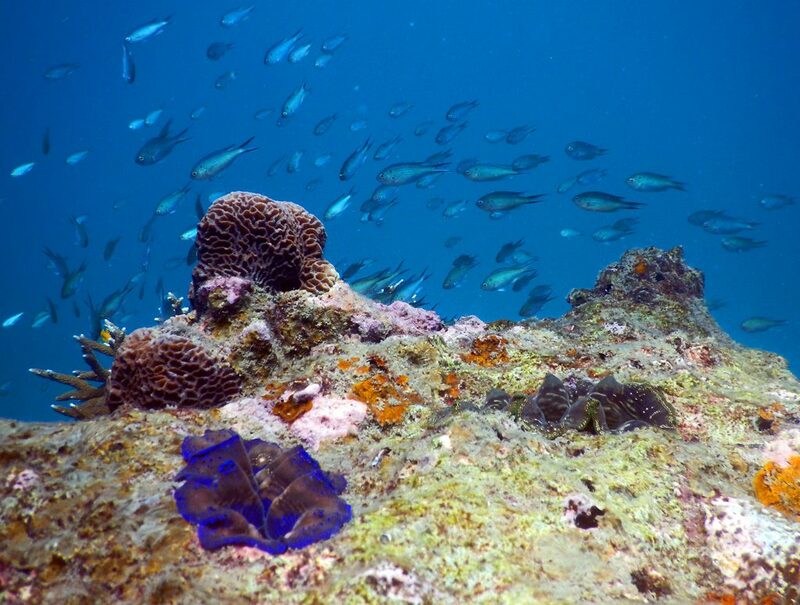 Koh Tao is world renowned for its underwater marine life. Snorkeling in Koh Tao offers you exploring vibrant coral reefs, observing diverse shoals of fish and sea creatures. 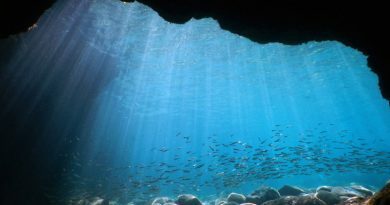 It is an ideal place for people young and old to enjoy amazing underwater ecosystems. Koh Tao means Turtle Island, so if you are expecting seeing turtles, you are right! The island is important breeding ground for Hawksbill and Green turtles. The development of tourism has negatively impacted the health of these grounds, but still there are bigger turtle population around the island ( we mention below where to see turtles). Other famous sea creatures are the Black Tip Reef Sharks that can are present almost all around the island. As mentioned, you might might meet whale sharks too! Tip: Koh Tao is a very small island, some beaches are private and maintained by on-site hotels. They are open for public against a small entrance fee ( usually 100-200 baht). To help you, we marked the entrance fees by some of them. Sai Daeng Beach is a small sandy beach with great view of Shark Island. 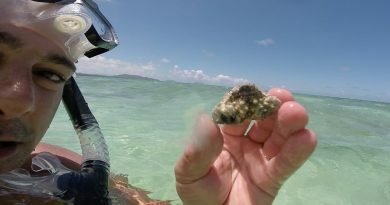 Snorkeling is the best on the west and east end of the bay where there are various kinds of coral combined with rocks. Big shoals of fish, incredible numbers of Christmas tree worms! 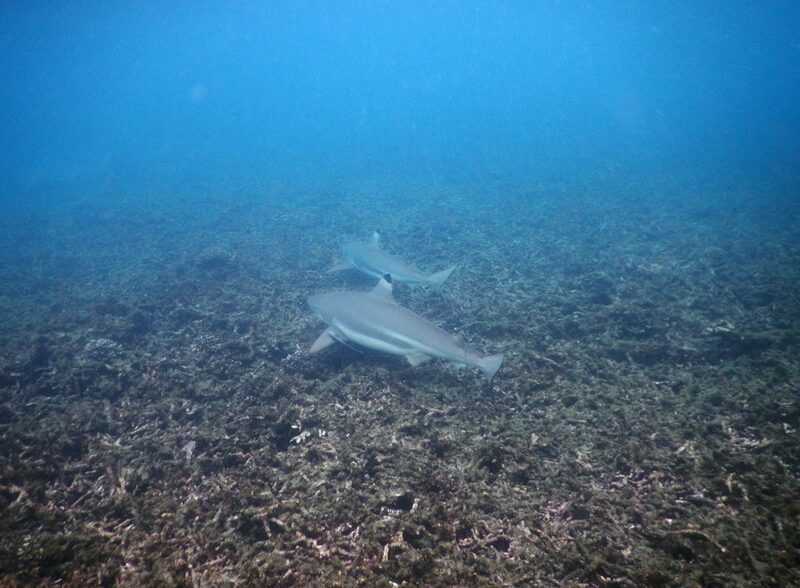 Black tip reef sharks live on the left side of the bay. Turtles use to feed on the middle and on the right side. Sai Daeng Beach is accessible on good concrete road, but steep at the end. There is no entrance fee. The Shark Island is a small isle 800 meters south of Koh Tao. It is named after its “shark fin” shape rather than presence of sharks. Instead of black tip sharks, this is the place where you have a high chance to see a whale shark! These gentle giants are often spotted around the island at specific places, and Shark Island is one of them! The right, shallow side of the island has beautiful coral garden, with plenty of reef fish, sometimes turtles, blue spotted ribbon tail rays. Although this spot is accessible by boat or kayak only, it is worth the effort if you want to experience one of the best snorkeling in Koh Tao! Located next to the Sai Daeng Beach on the left side. 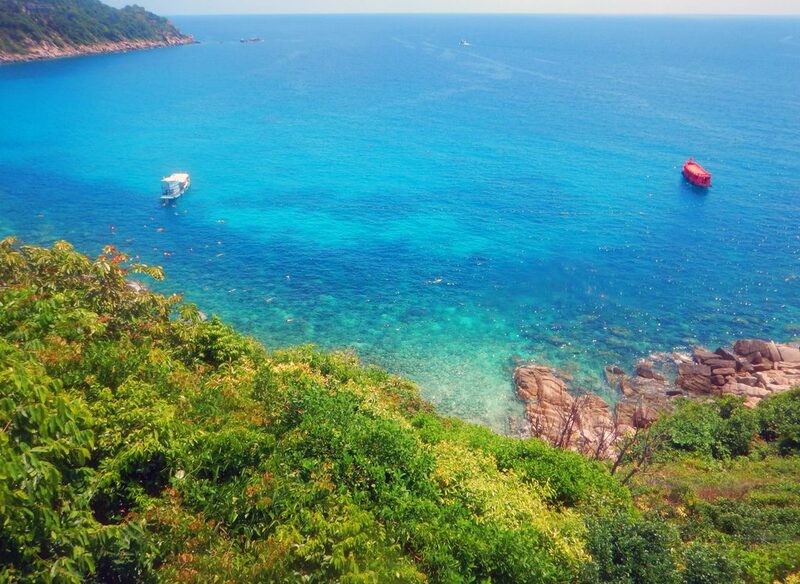 Shallow water, different hard corals, rare soft corals makes this place offering one of the best snorkeling in Koh Tao! Hin Ngam Bay is a rocky coast, so do not expect lying on the sand. That you can do on Sai Daeng Beach. Easy access through Sai Daeng Resort, walk up to the swimming pool, then take the stairs on the left side. This is a non used area of the hotel, open for external visitors as well not only for hotel guests. Bay also accessible by boat and kayak. Thian Og is the original name of this spot, but it is known as ‘Shark Bay’ due to the black tip reef sharks that frequent here. This area is a shark nursery where young sharks can be seen at certain times of the year. Adult sharks live here too approx 250 meters from the shore where the water is a bit deeper (3-4 meters). It could happen than you find yourself in the middle of a bigger shark group that happened to us too! We were swimming surrounded by 8-10 smaller sharks sometimes! If this happen, don’t panic, they will swim away quickly. Turtles are almost guaranteed here, also huge green turtles! 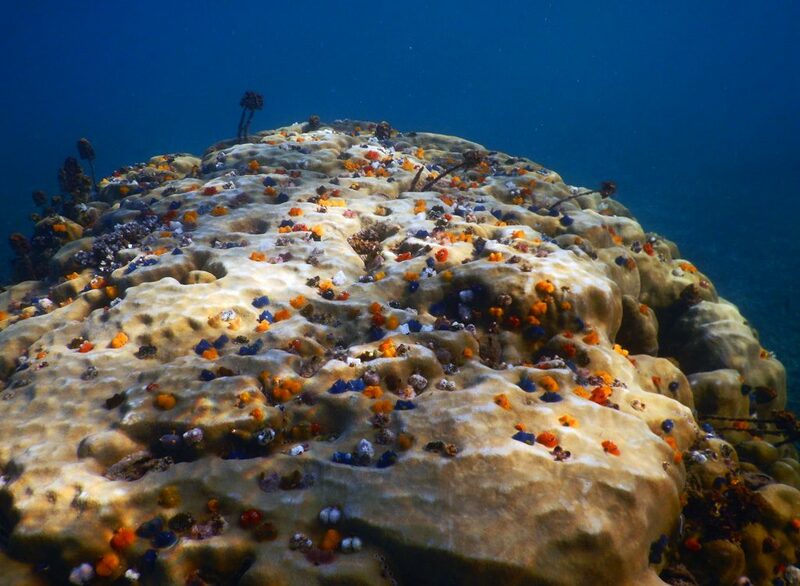 Unfortunately corals were vastly destroyed by El Nino. Easy way to come to Sharks Bay by boat or kayak. Beach also accessible through on-site hotel, but you might pay entrance fee. We went in though Cape Shark Villas, there was no fee to pay. This is the most popular small but quiet bay among Koh Tao beaches on the south. Great place to relax, sunbathe, swim and snorkel! There is shallow coral reef not too far out close on the side of Buddha Rock. It’s a huge rock standing out on the cape. Swim around the cape where you will see many fish due to constant water movement. 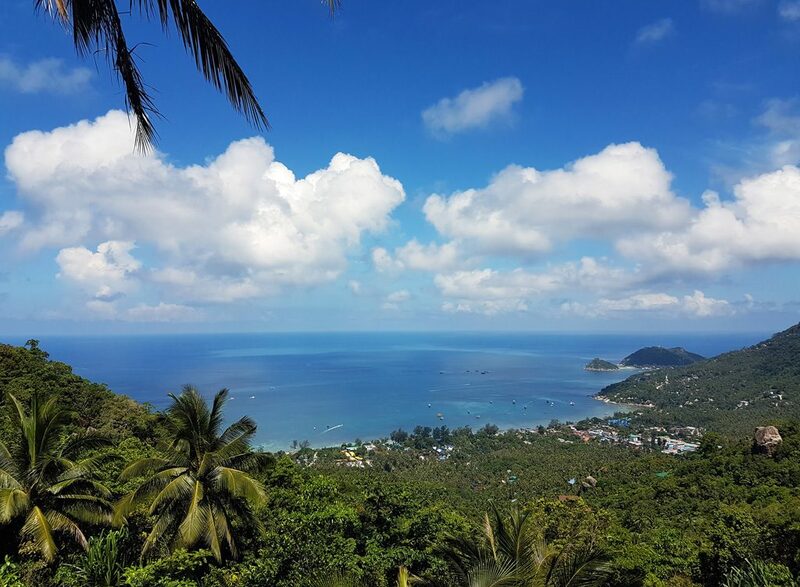 Don’t miss amazing view from the view point on the mountain (John-Suwan viewpoint)! It’s only 15 mins to climb the hill. From Freedom Beach you can visit nearby Taa Toh Yai Beach, as well as Chalok Baan Kao Bay (on low tide). Entry fee was 50 baht. Aow Leuk Beach is a lovely, wide sandy beach, great spot for snorkeling, swimming or just make a great day out while you are on Koh Tao. Both side offer plenty of snorkeling opportunities around the boulders and reefs. 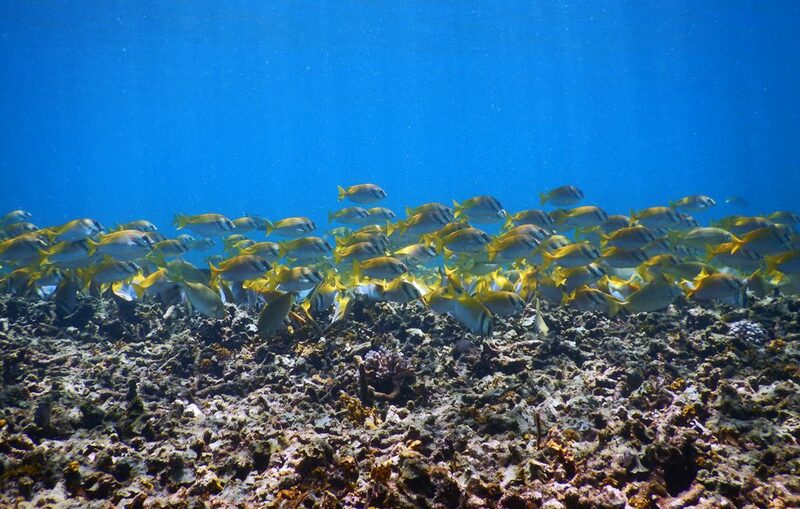 You can see all sorts of colorful reef fish and maybe some baby sharks too. The bay is sign-posted off the road to Tanote Bay, entrance costs 100 baht. Usually Aow Leuk is not too crowded. Located on east coast of Koh Tao, it is a great sunrise point. Tanote Bay is surrounded by high hills, ideal for rock jumping too. It’s one of Koh Tao beaches which offers privacy as well as easy approach on good concrete road. Diving and snorkeling is very good in this wide bay, also a shipwreck can be found here. Great variety of corals, fairly large fish. Free entrance! One of the most famous snorkeling spot on Koh Tao. Hing Wong Bay is a large bay surrounded by boulders. 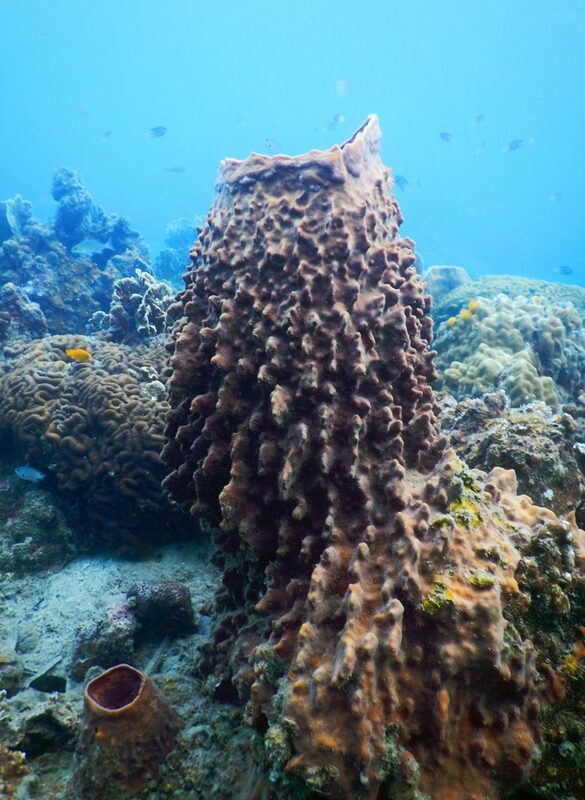 There are underwater pinnacles here covered with different type of corals. 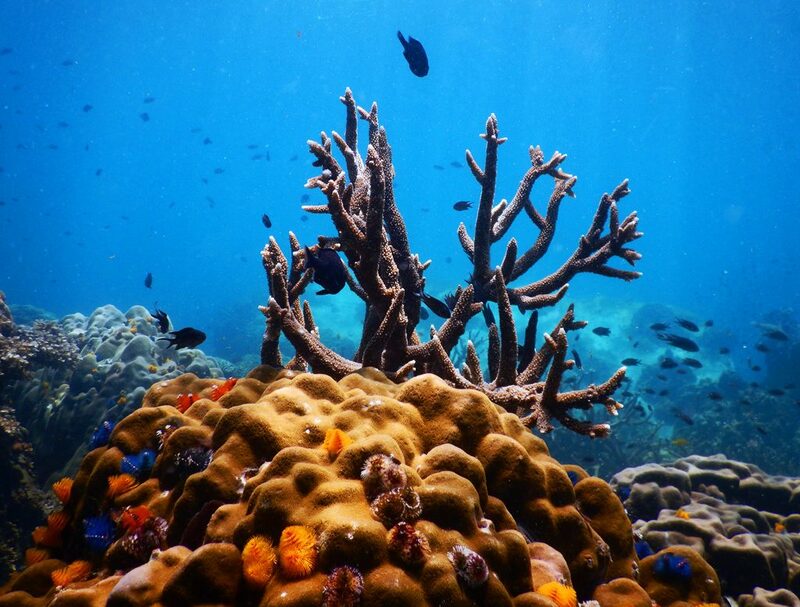 Water is usually clear, corals are in fair condition, marine life is abundant. You can see big shoals of fish (sometimes sardines too), anemones, blue spotted rays here. Good quality concrete road leads to Hing Wong Bay, but very steep sometimes. You find a small bar on left side and sandy area, if you want to go there you need to pay 50 baht or buy drinks from the bar. If you go right to the rocky side, there is no fee. Jansom Bay is famous for its excellent snorkeling. Sandy sea floor makes water entry safe even at low tide. Swimming/snorkeling is comfortable, water is deep enough (3-4 meters), currents are rare. 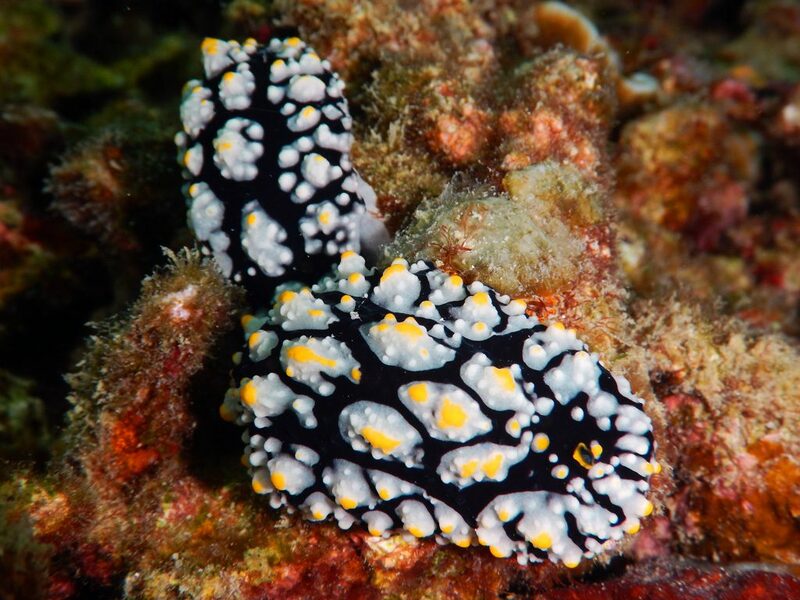 Marine life is diverse, yellow boxfish, sweetlips, titan triggerfish, blue spotted stingray, porcupine pufferfish, even octopus. Great place to swim with turtles! We’ve spotted 3 turtles in 40 minutes! They already got used to humans and don’t swim away, let you observe them. Don’t forget to keep a safe distance from them and never touch. The bay belongs to Charm Churee Villa, entrance fee is 200 baht. There is an other bay just next to Jansom Bay, it’s free to enter. Lovely hideaway on west of Koh Tao. 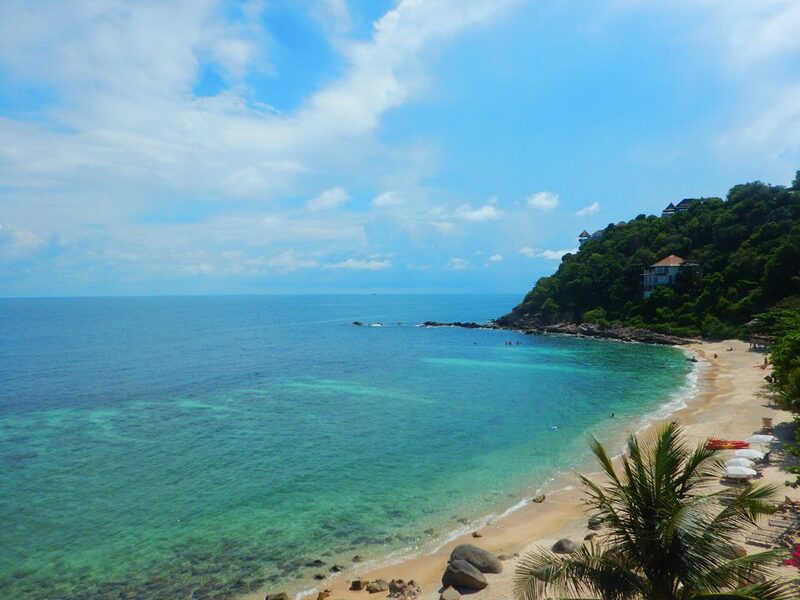 Come here and explore 2 of Koh Tao beaches at one blow! Sai Nuan Beach actually consists of two beaches just next to each other. Unspoiled beach with fine white sand, shallow water, huge palm trees, perfect place to spend the day relaxing in the hammock or playing on the swing. As the bay is protected, water is shallow, this is the safest snorkeling in Koh Tao. There is a lot to see, especially around the rocks. 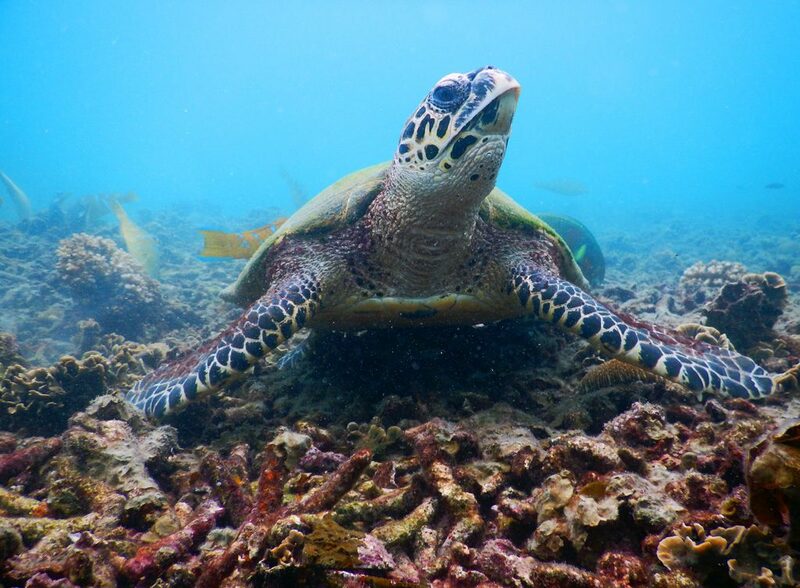 Turtles also often spotted as well as many type of fish including orange spine unicorn-fish, batfish, harlequin sweetlips, giant grouper, schools of yellowtail barracuda, thread-fin butterflyfish. This is definitely a beach to visit. Sunsets are spectacular! Probably the most known of Koh Tao beaches! Water is usually calm and clear in this large sandy bay, colors are incredible on sunny days! Must be in the TOP 3 if it comes to the best snorkeling in Koh Tao! Bay is fringed by reef along its coastlines, home to many varieties of wrasses, damselfish, barracudas, triggerfish, eels and crabs. Lucky ones also find seahorse on the sandy bottom. The land road to the bay is steep, you need to be careful driving down. It ends at a resort located on the cliff, entrance fee is 100 baht. Comfortable, easier way is to get here by boat. The small islet Koh Nang Yuan is a few minutes away by boat from Koh Tao. The trip costs 150-200 baht per person from Sairee Beach, entrance fee is extra 100 baht. These picturesque 3 small islands connected by white sand natural bridge are definitely a not to miss! You can snorkel between the biggest and middle island in the Japanese Garden. It’s a small bay with crystal-clear waters, clownfish, anemones, butterflyfish, parrotfish, sergeant major fish, many sea clams. 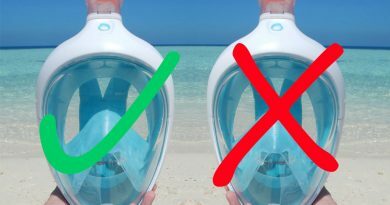 You might be snorkel without fins to protect corals! Road network is quite good on the island, but still under construction. We recommend to rent a scooter (we have very good experience with Oli’s Motorbike Rental), normal price is 250 baht per day. Some roads are steep, and there are dirt tracks, so drive slowly! If you are not confident with motorbikes, you find taxis everywhere, they will take you to the beaches at fair prices. For those who spend only a few days on Koh Tao, but want to explore as many beaches as possible, we recommend joining snorkel tours. The boats normally leave from Mae Haad pier and stop at 3-4 places around the island, depending on the weather and water conditions . Very comfortable, easy way to explore Koh Tao beaches and snorkel in the best bays! Snorkel tip package prices start from 800-1000 baht. 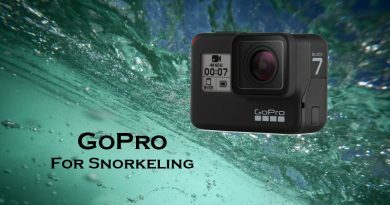 hey, very nice blog, do you have any good recommendations for snorkel tours in koh samui where we can see whale sharks? thanks! Thank you! As far as I know, you can’t see whale sharks around Koh Samui (also you can’t really go snorkeling there because there is mainly just sand around the island) so you need to go to Koh Tao if you want to see whale sharks.